This fantastic 3-bedroom, 1 bath home is sure to please. The 8x22 synthetic (low maintenance!) deck with vinyl rails provides a great place for morning coffee and evening laughs. Step inside the 34'x10' Florida room featuring a living area, dining area and includes a couch that pulls-out to a queen size bed. The kitchen hosts plenty of cabinet and counter space as well as a futon that sleeps 2. An airy Master bedroom and 2 additional bedrooms with a full bath complete this wonderful floor plan. Besides coming partially furnished you also get a storage shed. 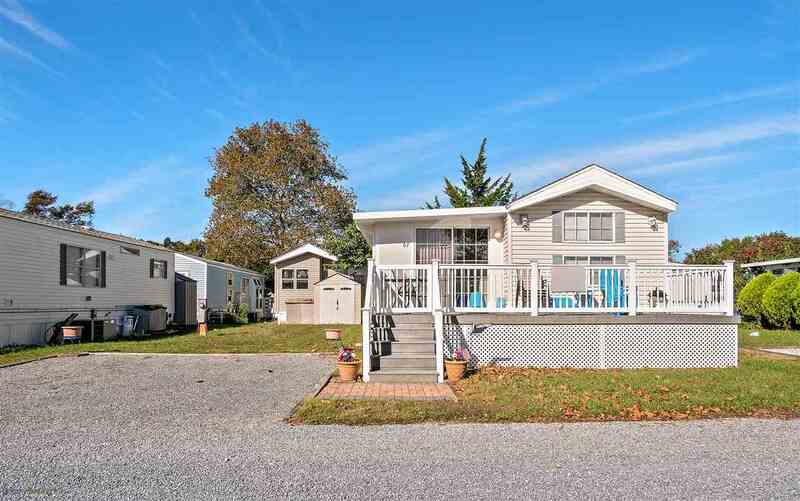 Situated in the Bay Cove Condo Association with access to the 2 community pools, a playground with horseshoe pits, a clubhouse, and laundry facilities! TVs are not included.